In the above photo, a 4 foot square table has been placed inside a 5' x 8' capacity Torchmate 2 machine. The dramatic size difference illustrates the tremendous advantage of a full sized machine over a small 4' x 4' unit which requires you to constantly move and realign (index) your material. The above Torchmate can process an entire 5' x 8' plate without the operator having to touch the material. This cuts shop time in half, and reduces the chance of injury. Torchmate 2 cnc gantry machines are available in sizes up to 6' x 20'. You fabricate the simple, sturdy rail system from locally purchased steel. This makes it possible for your machine to be much larger and more heavily constructed than would otherwise be possible. The time necessary to complete your system is probably no longer than it would take to bolt together a small, light weight unit that comes in a box. Torchmate 2 gantry units are constructed from heavy 3" square extruded aluminum. All aluminum brackets are 1/4" thick, and steel brackets are 3/16" thick. Some low-cost machines use a friction drive (small wheels to power the machine). Accumulations of plasma dust on the support surfaces can easily cause slippage. Insist on a positive rack & pinion drive on both axes. The Torchmate 2 is driven on the Y axis and both sides of the X axis via a rugged rack & pinion drive train. A 3.4:1 reduction via industrial timing pulleys and belts produces 914 oz. in. of effective torque on the each axis. The torch carriages of some similarly priced machines are both supported and guided by construction grade materials such as square tubing. Square tubing can have ten thousandths of an inch or more surface irregularity, which can affect your cut. Industrial quality machines use precision guide surfaces. The Torchmate 2 uses a precision industrial linear motion roller cassette and rail system to ensure the utmost in accuracy. Eight 1" diameter hardened needle bearing rollers ride on 4 hardened and ground rails at right angles to each other. The rollers are adjusted to zero tolerance. The Y axis (short axis) uses a precision industrial linear motion assembly. The rail assembly bolts to the gantry carriage with hardened socket head cap screws every three inches. A person of average weight can actually stand on the roller cassette, and be carried on both axes by the machine. Take a good close-up look at the construction of any machine you are considering. You are buying a piece of industrial equipment. It should be built like one. It is not only important that your software be easy to learn, but also that it have the features necessary to make your shape cutting easy after you have mastered the program. Some software that comes with similarly priced machines sacrifices highly useful features in order to try to combine both drawing and machine operation into a single program. This overlooks what is perhaps the biggest benefit of the Windows operating system -- file transportability between programs. In Windows, one has the ability to use a spreadsheet to calculate sales information, and then seamlessly move the rows and columns of figures into a publishing program to prepare a company report. Each of the two programs has a different purpose, and each is very good at what it does. A program that tried to combine the two would probably do neither function very well. In order to bring you full CNC functionality, our software comes in two specialized programs -- a CAD Module for creating and perfecting shapes, and driver software for running the machine. The two software modules work seamlessly together, yet don't sacrifice features in an attempt to be a "Jack of all trades." The driver software is standard equipment with your cnc gantry kit. The CAD Module is the result of an arrangement with a company that sells a similar program for over $3,000. They agreed to remove those elements from the program that are totally unnecessary for metal cutting. We are fortunate to be able to offer the resulting version of the software package for a fraction of its original cost. We have made the CAD Module an option rather than raising our kit price to include it. This lets you get started using CorelDraw or another drawing program initially, and add the optional CAD Module later, after the machine has paid for it. Since the CAD Module is a separate free-standing program, owners of other manufacturers' machines can benefit from it, as well. Our automatic torch height control units are state-of-the- art electronic units with a self-contained computer. They should not be confused with inexpensive switch controlled units that have no way of monitoring or adjusting torch tip-to-work distance while cutting. Competing height controls on similarly priced machines either adjust torch height only at the beginning of each cut, or require you to control the height with a manual switch. Separate piercing and cutting heights. turning off your plasma cutter. Provides clear view of torch tip. Modular unit that can be added at any time. Our Torchmate 2 CNC systems come with 3-D circuitry, and our driver software can execute the full range of 3-D operations, including routing, engraving, signmaking, etc. All that is necessary is to add our physical Z axis column package and a router or other suitable tool, and you are ready for these kinds of tasks. The package includes the column, motor, cabling, and BobCad 3-D software. The added versatility of being able to do 3-D work in wood, plastic, corian, laminate, etc., gives a Z axis equipped Torchmate 2 a distinct advantage over competing machines. Many additional accessories are available. We have tried to make it possible for you to add to your machine's capabilities over time, rather than forcing you to buy all-or-nothing up front. To see more accessories go to Accessories under Products. 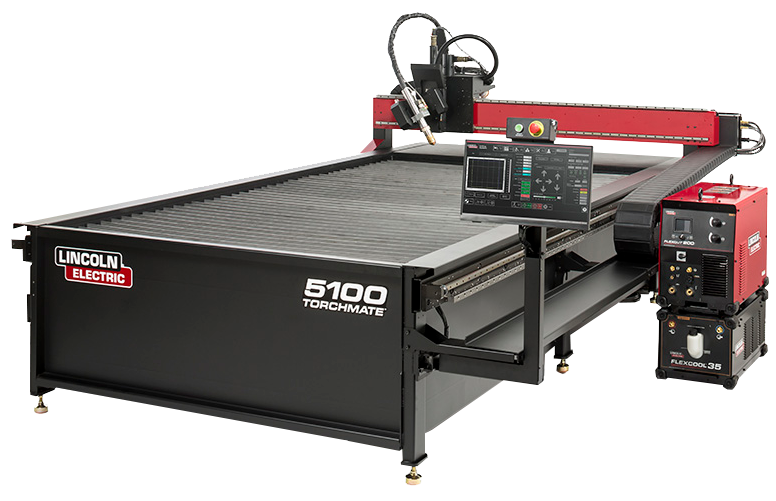 Our aim has been to bring the fantastic benefits of CNC shape cutting to shop owners who can't justify purchasing a $50,000 machine. However, we are not willing to sacrifice quality for the sake of cost. 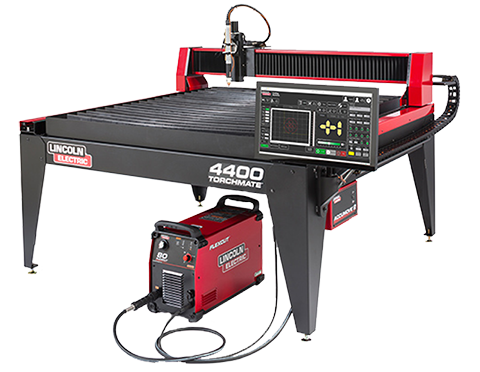 We offer you a full-sized, industrial quality CNC shape cutting machine that can be purchased in a basic configuration at a low initial cost, and upgraded over time with profits made by using the unit. 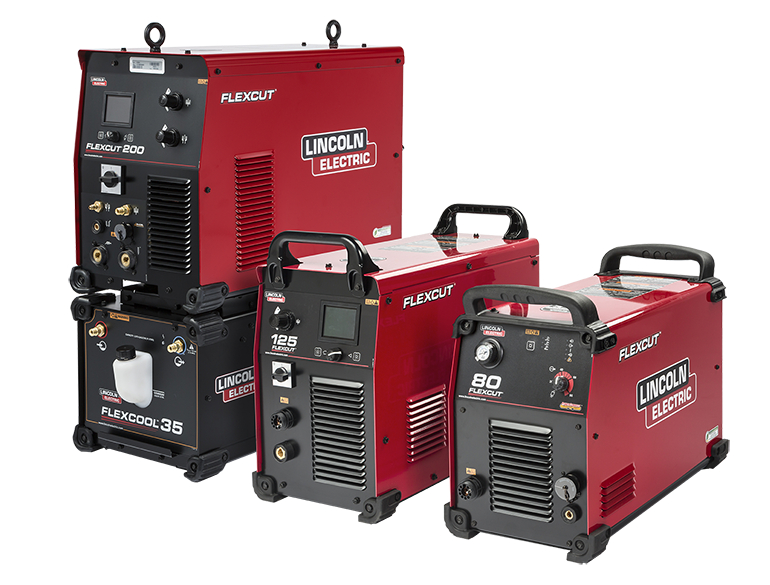 You start out with an initial investment that is less than the cost of most competing machines. You add to the unit over time, with the profits from the machine paying for the additional items. You end up with a full-sized, industrial machine with a machine torch, and an automatic torch height control that is the real thing.